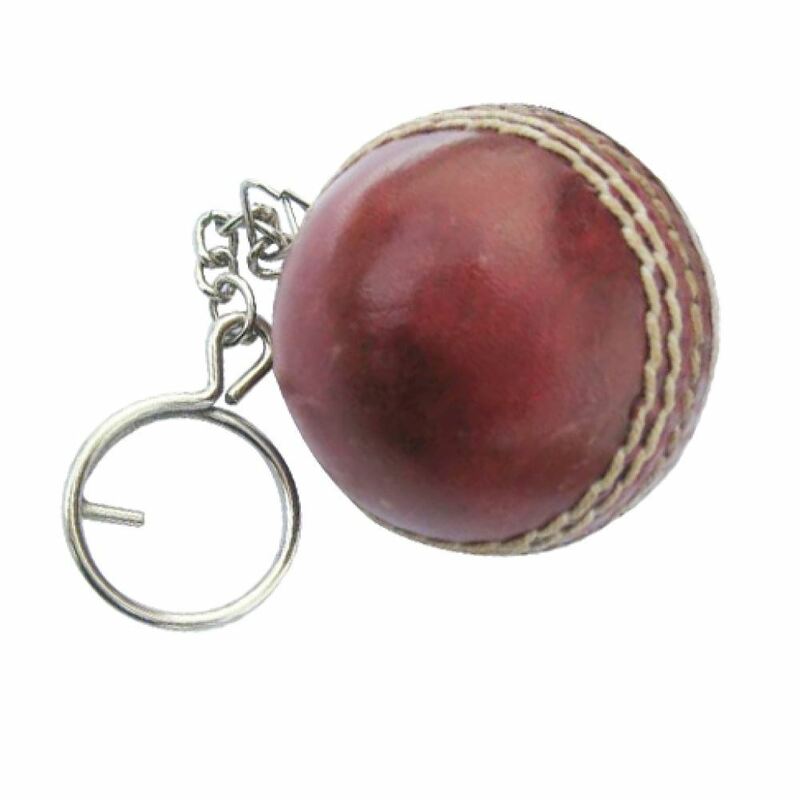 Mini Cricket Ball Keyring with metal keychain. Hand made in leather with genuine stitching. The ball can be printed or engraved. The ball has a 5cm diameter. Please enquire for more information.